In the eyes of many fans, the rocket owner Alexander is the NBA, one of the most Stingy boss. But recently, the stingy of the boss is to Houston's charitable organizations to donate 4 million US dollars, contribute to the community. "Houston has been very good to me, now is the time to return to society," Alexander said. This time, he donated $ 4 million to eight local charities in Houston. Alexander said that the money is to donate to those in need, animals or immigrants. The new season, Alexander's team a good record, the team core James - Harden's performance, but also won a lot of people recognized. At present, the competition in the MVP, mainly concentrated in Harden and Westbrook, Alexander believes that in this honor, Harden will have a greater opportunity, "We won more games, so the MVP , Harden should have a greater opportunity. " Currently the Rockets record of 21 wins and 7 losses, ranking third in the west, they are second from the west of the Spurs, only a difference of 1.5 wins. The Thunder is currently 16 wins and 12 losses, only ranked No. 7 in the West. 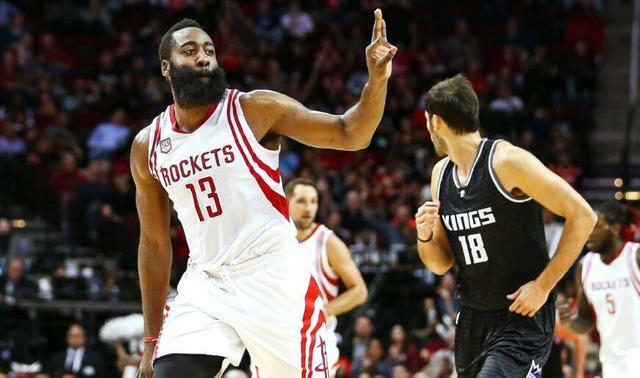 The next game, the Rockets will face the San Antonio Spurs, for Harden, he will usher in a chance to create history. Harden scored 24 points, 12 rebounds, 15 assists and 25 points, 11 rebounds and 13 assists in his first two games against San Antonio this season. In the NBA's history, only three players face the Spurs, two consecutive games to win three pairs of data, they are Magic - Johnson, Larry - Bird and James - Harden, but never in the face of players Spurs, three consecutive three-double, and today's game, Harden is expected to create history. This season, Harden averaged 36.8 minutes played, you can win 27.7 points and 11.8 assists and eight rebounds, shooting 43.9%, three-point shooting 35.6%.